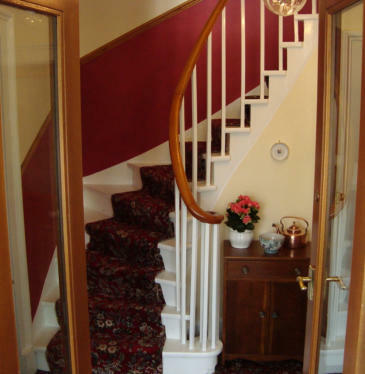 Willowbank Guesthouse is a B&B situated at the south end of High Street in Grantown on Spey. Just outside the hustle and bustle of the town centre, yet only a five minutes stroll away from shops, pubs and restaurants. We like to provide you with clean and comfortable rooms and a wholesome homemade breakfast to start your day. If that’s what you are looking for, you will enjoy your stay at Willowbank Guesthouse. We will prepare an embracing Highland welcome and try to make you feel home from home. 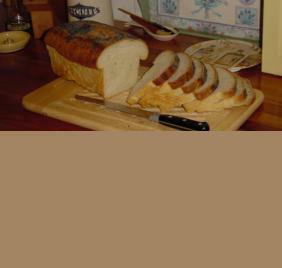 All you find important for an affordable price, including occasional extras like home baked bread. That is what we try to achieve and what we are working for day by day. There is no need to make it more complicated, just relax and enjoy your stay. Willowbank dates from 1858 and still has several original features, like the staircases and corniches. But has been tastefully modernised and upgraded in the past few years with love and respect to the house. Free WiFi is available throughout the entire house. Our toast is usually made from delicious homemade bread and served as a special treat for our guests. In the morning we serve breakfast in the conservatory. There is a breakfast menu for you to choose from, varying from a wholesome Scottish breakfast, to varieties with Scottish smoked salmon and continental breakfast. You can make your choice from fruit juices, cereals, yoghurts and fresh fruit. We use the best of local and Scottish produce for our breakfast; pork sausages and black pudding from our local award winning butcher, large free range Scottish eggs, Scottish dairy products, Scottish smoked salmon and whenever the season allows fruits produced in Scotland. We often treat our guests to our delicious home baked bread. If you have any allergies or diets, please let us know, preferably when booking, and we will do our best to find alternatives. Willowbank Guesthouse is set in a quiet spot in Grantown. Willowbank has ample off street parking. In the morning we serve breakfast in our large conservatory. So you can have an easy start of the day, watching the world go by…… Grantown on Spey is part of the Cairngorms National Park. From Grantown you can travel in all directions and explore a large part of the north east of Scotland, including the famous Speyside whisky distilleries. 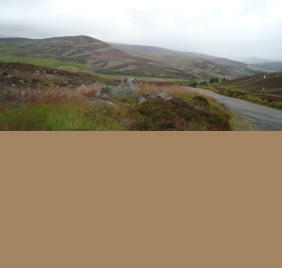 And even Scotland’s west coast can be visited on a day trip.